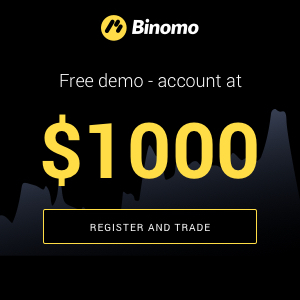 The binary option is a simple digital contract that offers a fixed payout at expiry. The payout is based on the expected future price movement of an asset in relation to the entry price. No direct investment is made in the underlying asset itself, with the contract forming a simple wager between the broker and the trader. A payout is made at the agreed expiry time if the trader has been able to successfully forecast the direction of price movement. This is known as the contact ending ‘in the money’. The alternative scenario is that the trader is unable to forecast the move correctly. In this even the contract ends ‘out of the money’ and the wager is lost. You chose a ‘higher’ contract on the expectation that the price of Google stock will finish up by the end of the trading day. You open a contract for $100 with an 85% payout. As with the binary option, a CFD does not involve a direct investment in the asset to be traded. The contract is made between two interested parties who agree to exchange the difference between the opening and closing price of a contract. Contracts can be set to go ‘Long’ or ‘Short’ on the underlying asset similar to the Call and Put contracts used in binary options. They are frequently used by traders to ‘hedge’ exiting physical positions they may hold in an asset. CFD are a leveraged product which means that unlike making a direct investment in the stock, you only have to put up a small percentage of the total contract value. However as a consequence you are liable for greater losses than your initial deposit. On the surface there are a number of similarities between Binary Options and CFDs. For instance both allow you to access a wide range of different markets and begin trading with small sums of capital. However despite their outward similarities there are fundamental differences between Binary Options and CFD trading. Perhaps the most obvious of these is the differing levels of risk to reward associated with each product. 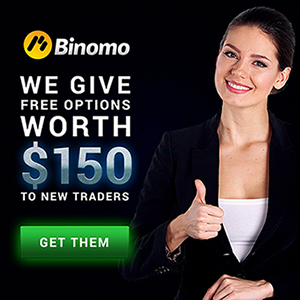 The Binary Options risk to reward is fixed on each contact at the time of purchase. The trader knows exactly how much profit they will make (or lose) from each contract. This allows an informed decision on the merit of each trade prior to the actual purchase of the contract. In contrast the payout and liability on the Contract for Difference is unknown. In contrast to most binary options the CFD contract can be closed out at any point. This can be used to lock in profit or minimize loss. However the key point to note is that the higher risk of these contracts offers the potential for higher rewards but equally bigger losses. In conclusion there are pros and cons for each of these two types of investment. Both Binary Options and CFD trading offer a great low cost way of gaining exposure to a wide range of financial assets. However the leveraged nature of CFD trading offers greater risks for the trader. Unlike the binary options contract, risk is not defined on each position taken so profit and liability are left to the movement of the markets. For this reason binary options are likely to prove to a better solution for investors who want to trade a defined level of capital and know their risks upfront.